The Duchess of Cambridge has officially started her maternity leave and will not be returning to official duties until the autumn, her aides have revealed. Kate, who carried out her final engagement on Thursday, may make an appearance at some family occasions during the spring and summer, but not in an official working capacity. Her priority will be raising her young children: Prince George, four, Princess Charlotte, two, and the new royal baby. 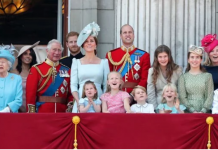 Some traditional royal events Kate is likely to attend include the Trooping the Colour parade in June, to celebrate the Queen’s birthday, and one of the Buckingham Palace summer garden parties. 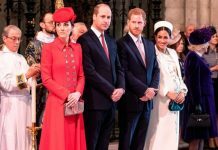 She is also expected to attend her brother-in-law Prince Harry’s wedding to Meghan Markle in May, which will take place just weeks after she gives birth. On Thursday, the pregnant Duchess stepped out for her last day of public engagements before maternity leave. Alongside her husband Prince William, Kate attended a SportsAid event in London’s Olympic Park. The charity helps young British sportsmen and women who aspire to be the country’s next Olympic, Paralympic, Commonwealth and world champions. 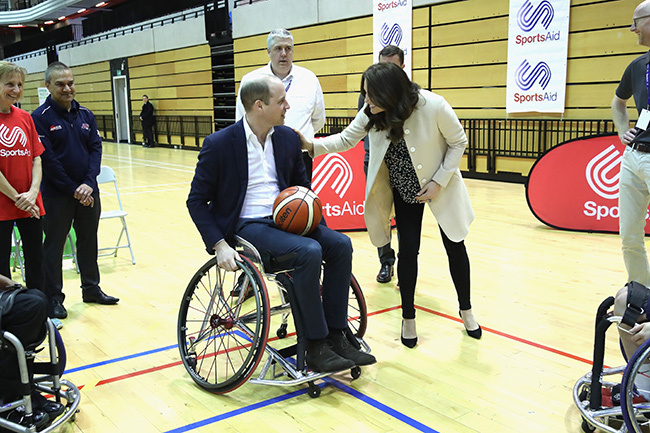 During the sporty event, Kate, 36, watched as William, 35, had a go at wheelchair basketball. The couple met the players, some of whom are hoping to compete in the 2022 Commonwealth Games in Birmingham, and also took part in a Commonwealth Quiz. 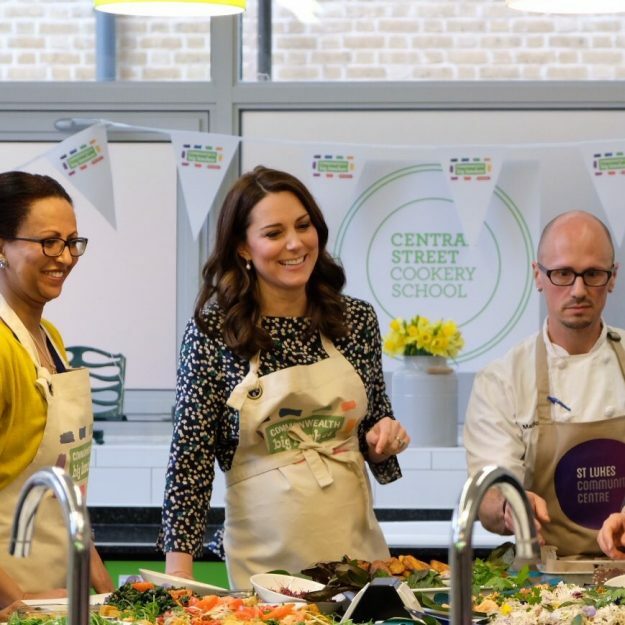 Later that day, William and Kate visited St Luke’s Community Centre in Islington, where they helped prepare food for the Commonwealth Big Lunch. The royals met members of the local community and joined a cooking group to help put the finishing touches to the meal.